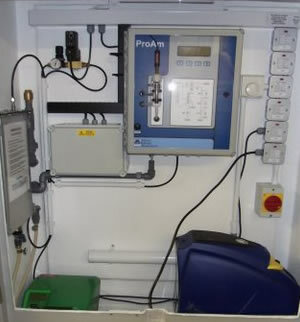 Pollution & Process Monitoring is a UK manufacturer of water quality instrumentation and is a specialist bespoke system fabricator. We operate a quality management system which has been third party assessed, complying with ISO9001:2008 that covers the design, manufacture and supply of analytical instrumentation for water quality monitoring. Our company, since inception in 1990, has continued to deliver cost effective, water monitoring solutions, matched to the needs of the end user. Since we manufacture and distribute on-line instrumentation for a number of leading manufacturers, we have gained considerable product and application knowledge encompassing all aspects of water and waste-water quality measurement. Our ability to provide water testing instrumentation pre-installed has reduced installation time on site and reduced associated costs. Careful consideration of the individual site requirements and application difficulties can help to deliver a reliable monitoring solution which is also often the most cost effective approach.